Short Spring Channel Nuts available in sizes M6 to M12 finished in either Pre-Galvanised or Hot Dip Galvanised Steel. Suitable for a wide range of applications channel nuts provide a quick and easy way to connect channel with bracketry or any other support mechanism. 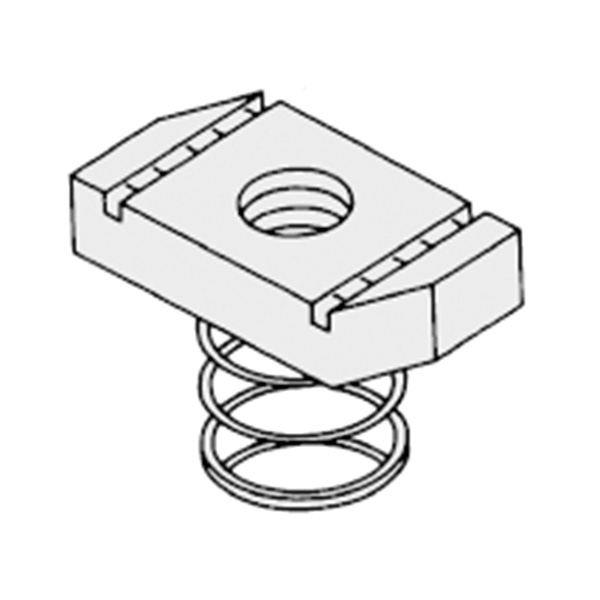 Simply insert the channel nut into the channel and rotate 90°, short spring nuts have been designed for use with standard 21mm deep channel and hold firmly in place whilst positioning and securing the required fixing.